After the Concours on Saturday, we spent the evening walking around Greenwich having some cigars, getting dinner and some coffee. We made our way over the check out Miller Motorcars’ strip of insane highest-of-high-end dealerships. 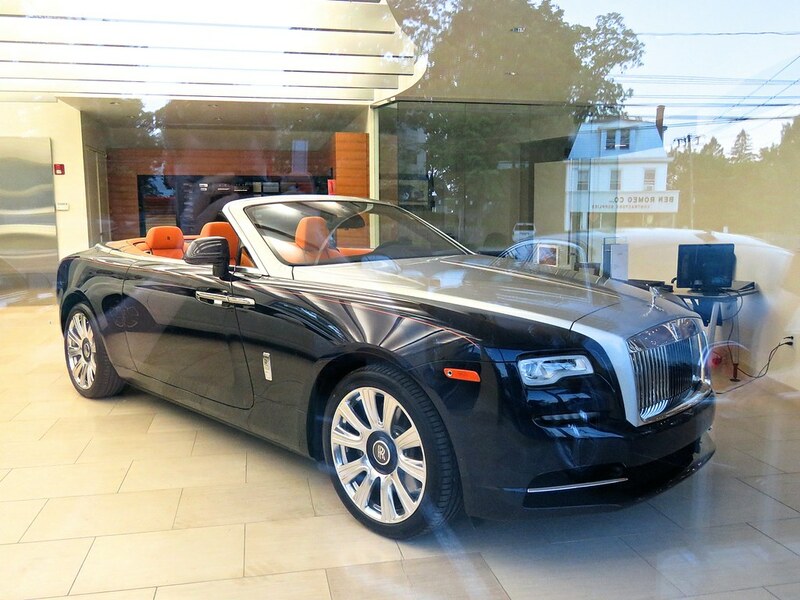 When we reached the Rolls Royce dealer, this Dawn with an unbelievable spec was lit up in the showroom. It’s looks black in the photo, but it was actually dark midnight blue, and yes that is an orange leather interior with a matching pinstripe. I couldn’t get enough of it, and I hope I didn’t leave too much drool on the window. Stay tuned for more of our fantastic weekend at Greenwich to come!